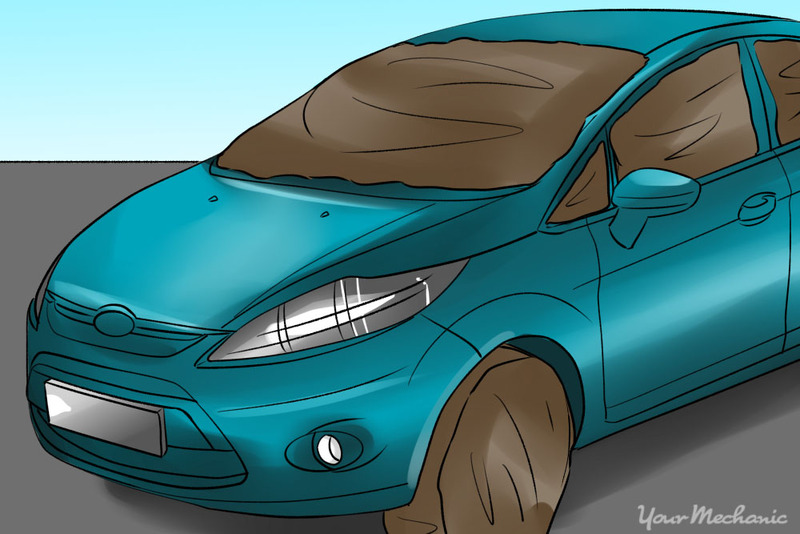 Paint your car yourself to keep your paint job in great condition and to protect your car from the elements. 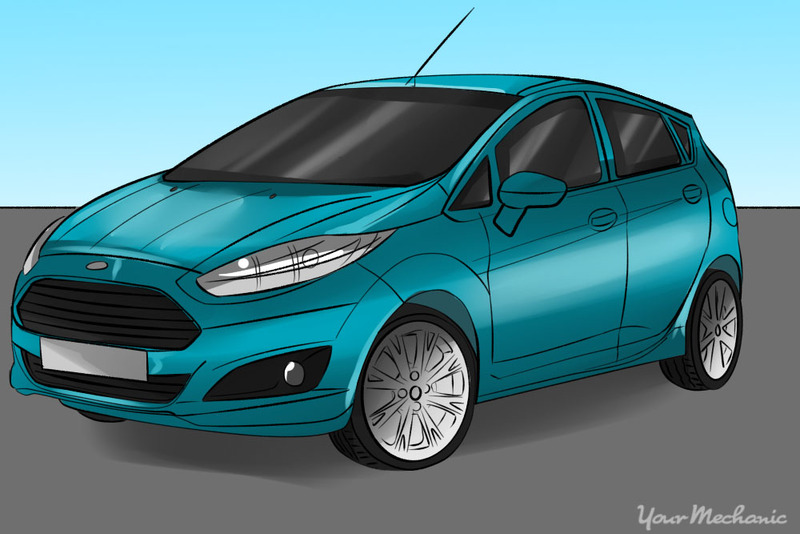 One of the first things noticed about a car isn't just its make and model -- it’s the paint. Anytime and anywhere, your vehicle's paint job is on display, and its condition and color greatly affect how it’s viewed by others. You may want a fresh paint job for a custom look or to revamp an old paint job that has been worn by time and the elements. Professional paint jobs, however, can be costly. Many people opt to do the repainting themselves to save money, while others want to learn a new skill or to take pride in being a part of every stage in a vintage car's restoration. Whatever your reason for wanting to paint a car yourself, it can be done with the proper materials, time, and dedication. Prepare workstation - In an area protected from the elements, prepare your workstation. Protect other valuables by covering them in plastic. Wet sand old paint - Sand the existing paint down to the desired level, keeping the surface wet with water during the process. While you can do the sanding by hand, it is far quicker to use an electric sander. If you need to sand down to the metal to completely remove the original paint along with any rust that may be present, use a coarse grit of sandpaper first, then repeat the process with a medium grit and finally a fine grit once you have reached the bare metal. If you only need to smooth the existing paint, use only the finest grit to prepare the surface for new paint. Fill any dents - In the case you have sanded to the metal, fill any dings or dents with catalyzed glazing putty and allow to completely dry. Sand it with a fine grit paper until smooth and then clean the surfaces with denatured alcohol and a clean cloth to remove any oils. 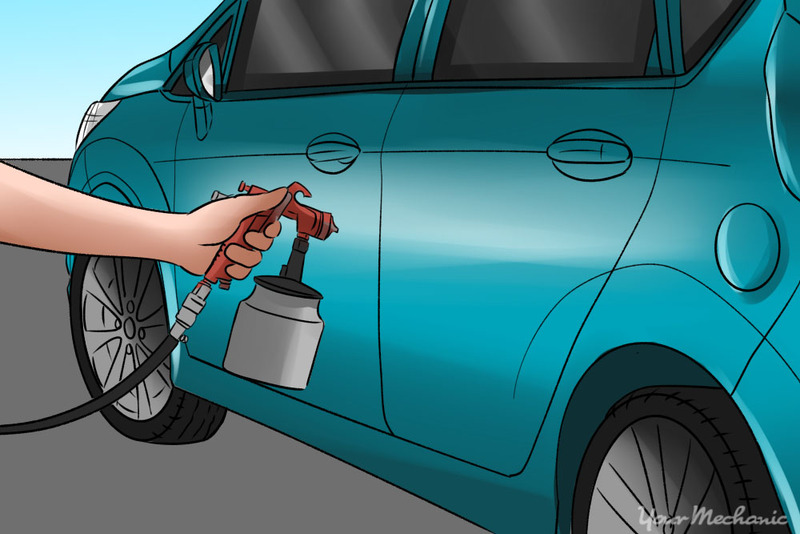 Prepare vehicle and apply primer - Remove or cover with masking tape and plastic or paper any parts of your vehicle you do not want to paint, such as bumpers and windows. For paint jobs that required sanding to the metal, you must apply a primer sealant to protect the metal from rust and provide a porous surface as a base for new paint. Tip: Many people opt to use spray cans of primer for this stage, although you can also use a paint gun to apply it. Allow primer to dry - Regardless of the method you choose to apply the primer, allow it to thoroughly air dry (at least a day) before moving to the next step. Double check protection, clean surfaces - Make sure your masking tape and protectant plastic or paper has not come loose, replacing it if necessary. Clean the surfaces to be painted with acetone on cloth to ensure there is no dust or oily residue. 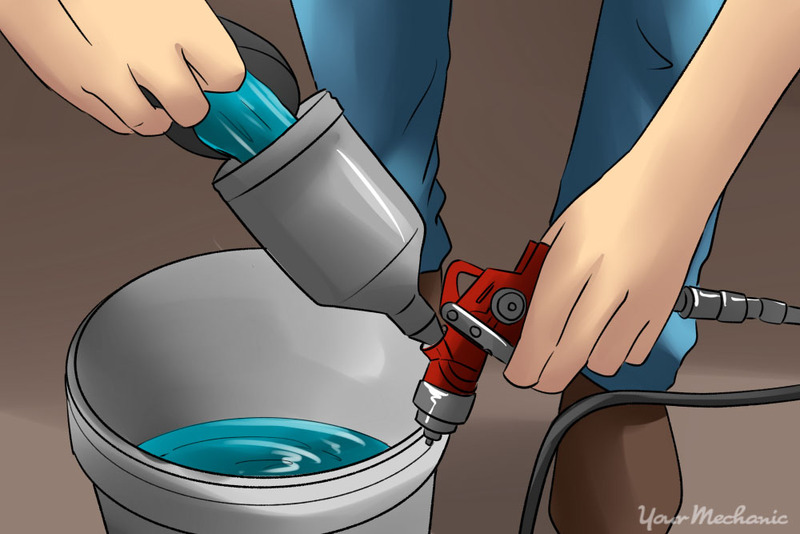 Set up your air painting rig - The air compressor connects to the moisture separator filter, which then attaches to the paint gun. Add the automotive paint of your choice after it has been thinned according to the particular brand's instructions. 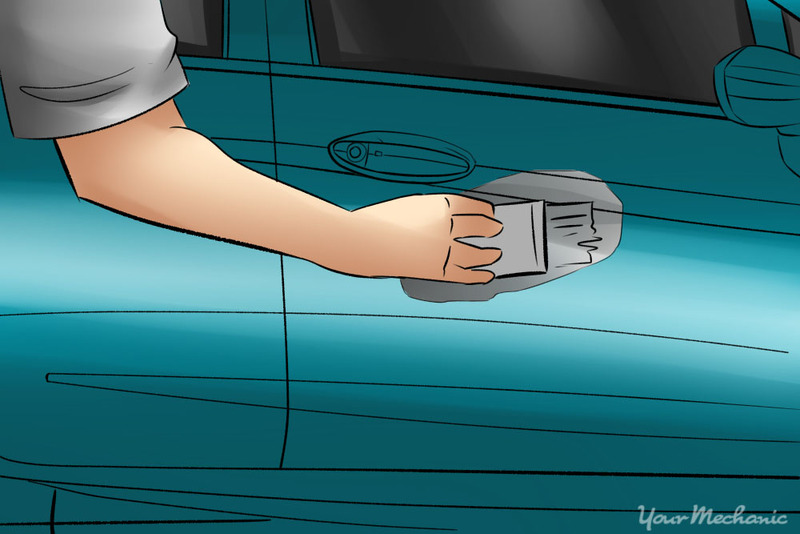 Spray the surface of your vehicle in smooth, broad strokes - Take your time to ensure every portion is fully covered. Allow the paint to dry, or cure, according to the brand's instructions, which is usually between one and seven days. Wet sand, and apply clear coat - For a higher gloss finish, consider wet sanding the new paint with 1200-grit or finer paper and applying a clear coat after a thorough rinse with water. Clean up - After the paint has fully dried, remove the masking tape and protective coverings you applied in Step 4. 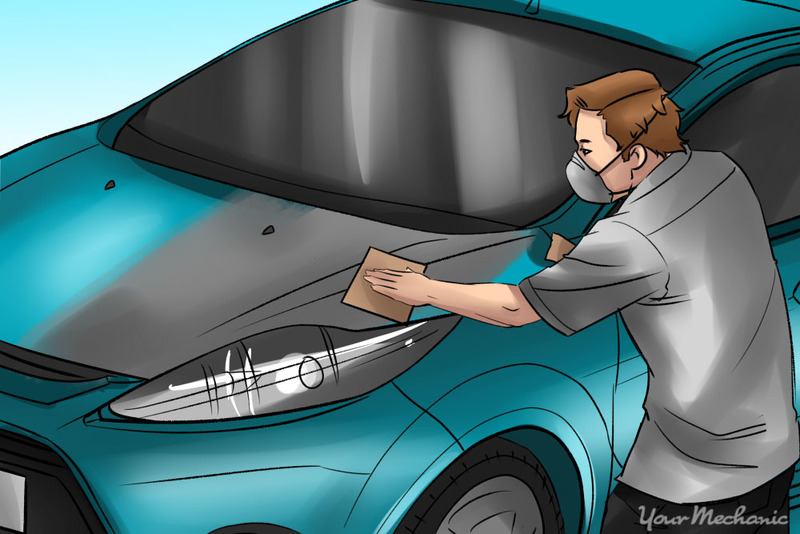 Finally, replace any components of your car that you removed, so you can admire your car's newly painted look. 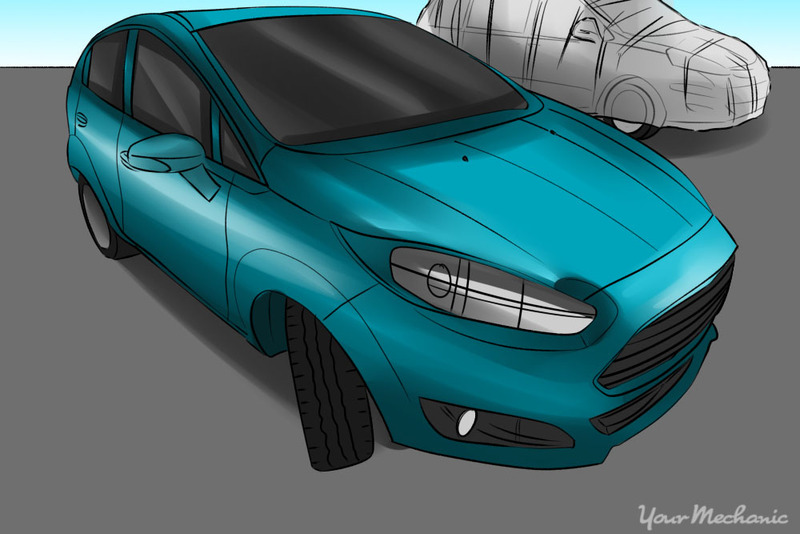 Although painting a car yourself can be a rewarding experience, it takes a significant amount of effort and time. That’s why many people turn to a professional to do the paint job for them. There’s also the risk that a portion of your paint job will not be smooth when done yourself, which would require additional work to repair. In this case, the final cost could be comparable with having paid a professional in the first place, and you would have incurred a significant amount of stress in the process. Professional paint job costs vary, depending on the type of car, paint used, and the intensity of the labor. 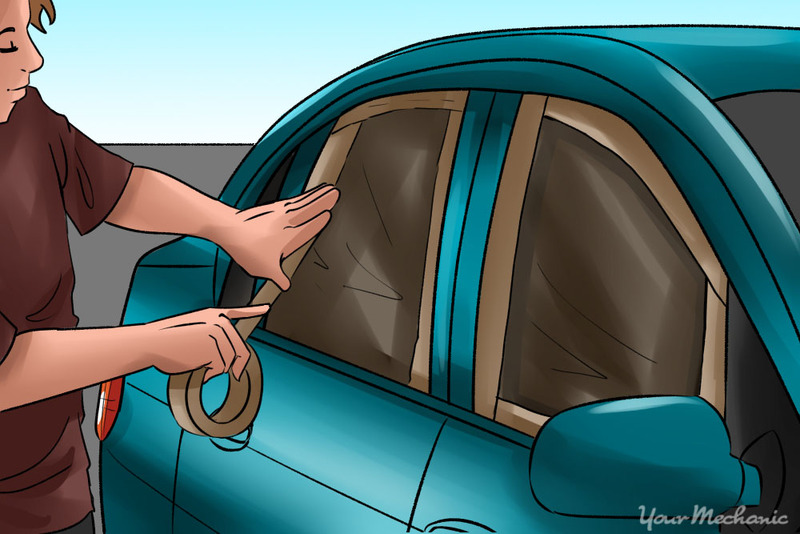 If you are unsure about this or any other issue with your car, don't hesitate to call one of your mechanics today. Q: Spay painted wheels and it didnt dry and has wrinkles.